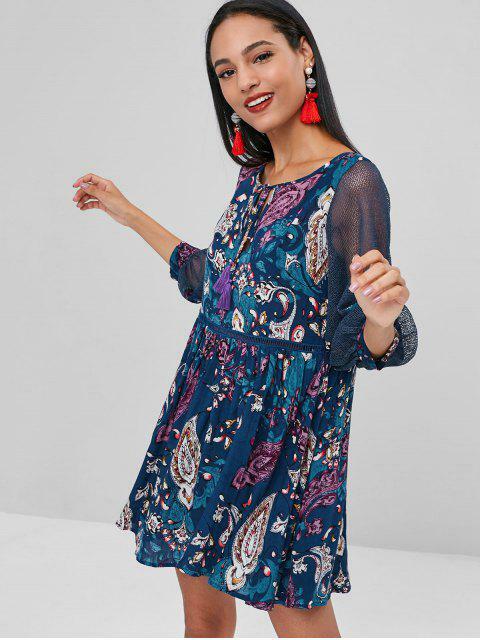 [42% OFF] 2019 Sheer Printed Bohemian Mini Dress In MULTI | ZAFUL .. Featuring mixed prints to underscore the free-spirited elegance of the boho styles, this mini dress is designed with see-through openwork sleeves to show off your skin allure and a tied closure on the front with tassel ends. The fabric is so soft that you will enjoy the cool comfort while wearing on it. It is a great dress for beach vacations!